Locality: Mexico, Sonora, Mpio. de Caborca, NE Cerro Proveedora, Rancho Puerto Blanco, 8.7 km (by air) WSW Caborca. 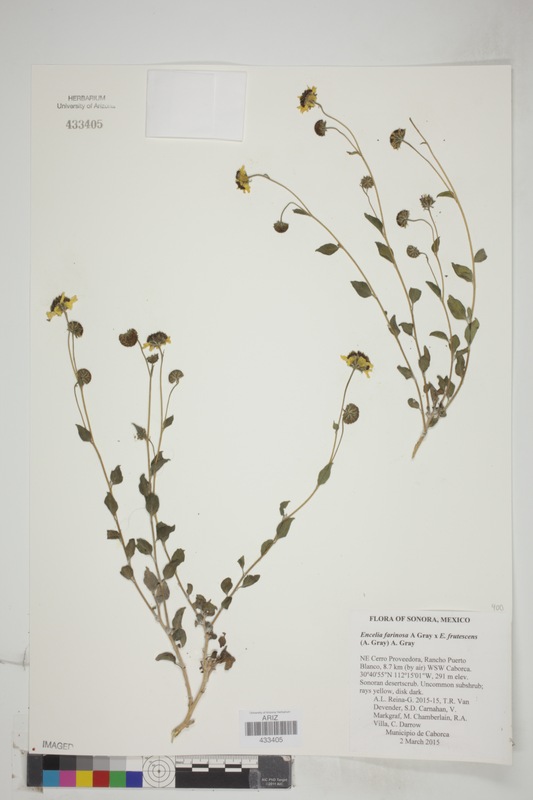 Notes: Possible hybrid with E. frutescens (A. Gray) A. Gray; Uncommon subshrub; rays yellow, disk dark.